Supreme Court UPHOLDS Key AZ Immigration Law - Good for Texas Voter ID! The United States Supreme Court struck down some parts of the Arizona Immigration Law, but the Supreme Court UPHELD a key provision (and very controversial part) of the Arizona Immigration Law. 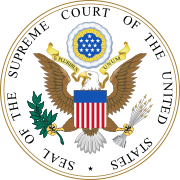 According to the Washington Post, the Supreme Court has upheld the provision in the Arizona law requiring police to check the status of someone they suspect is not in the United States legally. Anyone in Arizona must now "Show Me Your Papers" when asked by Arizona law enforcement. I believe that this ruling gives us a glimpse of how the Supreme Court will rule when they hear the Voter ID law cases. Several states (including Texas) have passed laws requiring people to show identification when they vote. You have to show ID for EVERYTHING so why not require ID to be shown at the voting booth? Dead people are voting, non-citizens are voting, people are registering to vote multiple times using fake names. We have to make sure our elections stay free and fair. It is not unreasonable to be able to make sure people are who they say they are when they vote. Attorney General Eric Holder has a problem with Voter ID laws. Sure, the Supreme Court has already upheld Voter ID laws. Sure Eric Holder requires ID to be shown when entering a building to see Eric Holder speak, but NO he says to Texas and South Carolina when we want ID to be shown when people vote. I already think the Supreme Court will side with Texas on the Voter ID laws because we have Texas Attorney General Greg Abbott fighting for us, but now I am really sure that the Court will allow Texas to require ID when voting after the Supreme Court has allowed AZ to check the citizenship status. Supreme Court Strikes Down Corporate Campaign Spending Limits - Will Texas Have to Change Its Campaign Spending Law? Will Tom Delay have his Conviction Overturned? According to the AP, the Supreme Court today has (again) ruled that corporations have the right to spend freely to advocate for or against candidates for state and local offices. The justices struck down a Montana law limiting corporate campaign spending, but this case will have a ripple effect on all other states. Texas is a state that does not allow corporations to spend money in Texas state and local elections. In fact, former Majority Leader of the United States House of Representatives, Tom Delay, did not even give corporate money to Texas elections but he was prosecuted by a liberal from Austin simply because he gave money to the RNC which possibly freed up RNC money to be given to Texas elections. Based on that, this liberal prosecutor said that Tom Delay broke Texas law by giving corporate money to Texas elections. SO, now that the Supreme Court has ruled that it is unconstitutional to limit corporate spending in state and local elections, will Texas have to change its laws to allow corporate spending? If not, they might set themselves up for a losing battle in the Supreme Court. Also, will this ruling have any effect on appeals that Tom Delay has made in a case where he was prosecuted for something that the Supreme Court has said is constitutionally protected?